The story of Montréal’s IKO fits within a familiar narrative shared by many early synth acts: a single release followed by a few decades of dormancy, awaiting acclaim that would come decades overdue. Just like fellow synth pioneers Ceramic Hello, the legacy of these acts is felt most strongly in their influence on the more successful groups and subgenres that followed them both locally and internationally. The bands themselves, however, remained virtually non-existent. 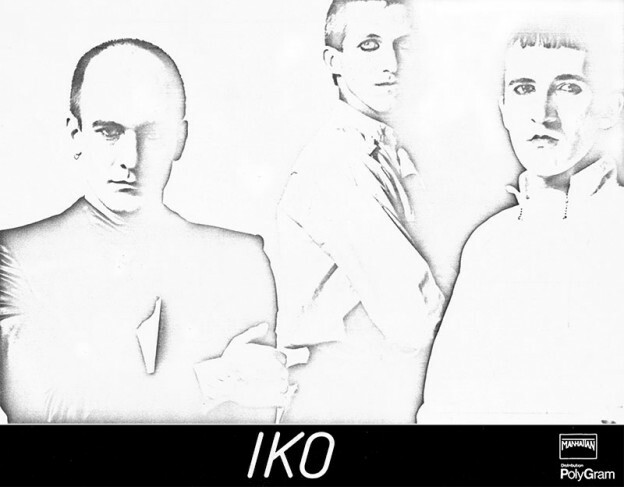 Thirty years later IKO is credited as one of the first ever entirely electronic bands, formed in the corridors of University of Montréal’s electroacoustic department by three Kraftwerk enthusiasts who went by the pseudonyms Zao (Jean Décarie), U-gen (Eugène Delage) and Dax (Daniel Laberge). Criminally underappreciated in its time, IKO released a debut record entitled “83” in 1982 on the now-defunct Montréal disco label Manhattan-Formula. According to synth player Daniel Laberge, aka Dax, the band’s debut LP was doomed by a dispute between the local label and Polygram, causing the giant to stop international distribution of the record. Without any sales or airplay, petty administrative hurdles paralyzed the group’s creativity and the disillusioned artists disbanded shortly after the record launch. 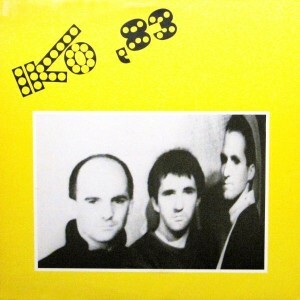 Consequently, rediscovering IKO’s 83 may be a bittersweet experience. It’s difficult to shake the what-if implications from a record whose music was as potent and innovative as IKO’s, only to be thwarted by bureaucratic incompetence. The unrealised commercial potential of the 1982 album is clear on tracks “Elevator” and “Gonadotropic synthesis,” whose catchy synth melodies are reminiscent of early Human League and the Belgian group Telex. IKO never loses its sense of humour with the monotone vocal delivery and lyrics working contrapuntally above the synth melodies. “Are you on dee other side of dat door” the vocalist proclaims in deadpan Germanic intonation on opening track “Elevator”. On “Gonadotropic Synthesis,” the lyrics cautiously flirt with sincerity, describing sexual arousal in purely medical terms over a particularly coy and meandering synth melody. 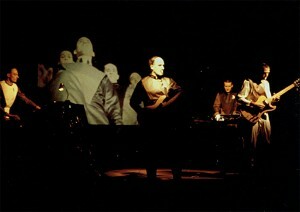 A tangible sense of impatience runs through most of the record, highlighted by the overlapping synth melodies and driving up-tempo beats that exemplified the band’s innovative techniques in drum programming on the Roland TR606. Just as the record title 83 may imply that IKO is concerned with sounds of the near future, it also serves to render the familiar unfamiliar. This title, in a cruel instance of irony, may indicate a humble anticipation of longevity at least until the following of the record launch (1983). Fittingly, the songs appeal to a sense of travel both in name (“Subway 49,” “Approach on Tokyo,” “Digital Delight”) and form, with an emphasis on technological progress and musical innovation. The abrasive experimental instrumentation and reverberated shouts on “Communication off” resonate with early D.A.F, the song standing alone as an important example of proto-EBM (Electronic Body Music). IKO’s use of the TB-303 bass synth on “Approach on Tokyo” and “Digital Delight” appears to almost anticipate techno. As Dan Nixon of Dummy Magazine points out, the synth-wave influences of IKO on Detroit techno are uncanny when one pitches down Cybotron’s 1983 hit “Clear”. 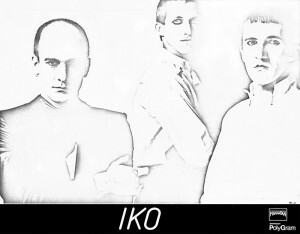 IKO manages to reconcile the band’s synthpop and coldwave sensibilities of peers such as Rational Youth (Montréal) and Spoons (Toronto) while bracketing the structure associated with them. Accordingly, the band keeps its other foot in the unexplored realm of Hi-NRG dance music. Following a series of bootlegs IKO’s debut album was reissued by the Seattle label Medical Records in September 2014, a full 32 years after its initial launch. The mythology of this record as a minimal synth gem that bridges divisions between synthpop, EBM and techno holds true with the Canadian museum of music estimating the original pressing of the LP at $500. This entry was posted in CKUT programming and tagged 83, Canadian, iko, manhattan formula, medical records, minimal wave, Montreal, synthpop on February 22, 2016 by Danilo Bulatovic.